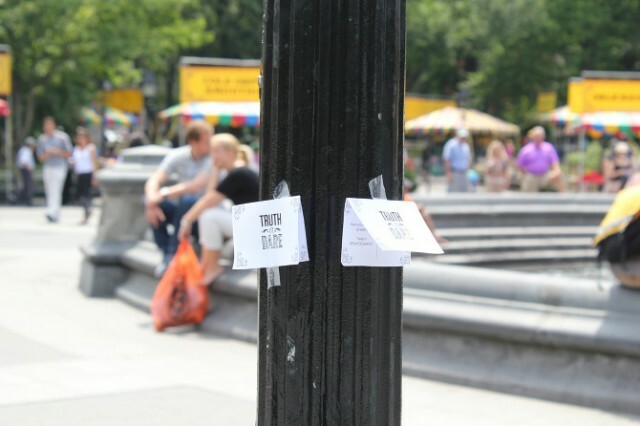 To encourage playfulness in her fellow New Yorkers, copywriter Chelsea Davison staged a giant game of truth or dare in Washington Square Park on June 9th. 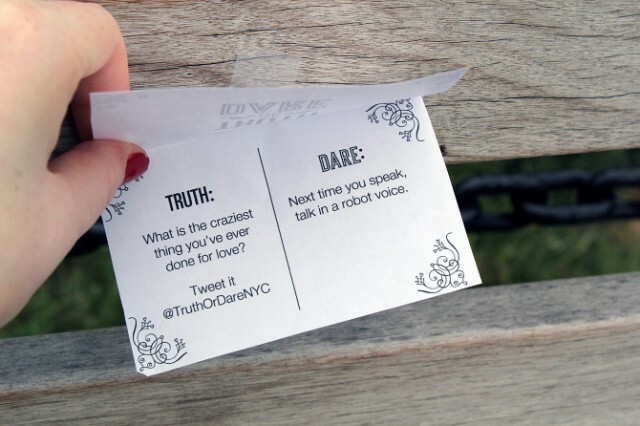 She left 300 cards around the park that asked people to answer “truth” questions via Twitter or perform often embarrassing “dares” in front of fellow park goers. As her video shows, a surprising number of New Yorkers opted for the dares.